The U.S. Environmental Protection Agency announced on October 25 that Panera Bread’s 35 Maryland locations are on EPA’s list of top green power purchasers among retailers. Panera Bread of Maryland purchases 100 percent of its electricity through wind power renewable electricity certificates (RECs). The company’s purchase of more than 11 million kilowatt hours is equivalent to avoiding the yearly carbon dioxide emissions of 1,350 passenger vehicles. “Supporting clean power makes good business sense and is good for the communities we serve,” said Brian J. Lemek, owner of Lemek, LLC, franchisee for Panera Bread bakery-cafes in the state of Maryland. The EPA Green Power Partnership works with more than 1,300 partner organizations that are voluntarily purchasing green power to reduce the environmental impacts of conventional electricity use. Purchases of green power also help accelerate the development of new renewable energy capacity nationwide and produce no net increase to greenhouse gas emissions. County Executive Isiah Leggett is seeking applicants to fill seven vacancies on the Agricultural Advisory Committee. Four positions are for farmers selected to represent the farm community, and three positions are for non-farmers. The 15-member committee advises the County Executive and County Council on all matters affecting agriculture in the County. Farmer representatives serve three-year terms and non-farmer members serve one-year terms. Members serve without compensation, but are eligible for reimbursement for travel and dependent care for meetings attended. Meetings are held on the third Tuesday evening of each month in Germantown. The deadline for application is November 12, 2010. Eric Coffman of the County’s Department of Environmental Protection this week gave Bethesda Green an update on the Montgomery County Residential Energy Efficiency Rebate Program. As of Tuesday, October 25, more than 250 residents are participating in the program, reserving a total of $310,000 for a variety of energy efficiency projects. The roughly 75 jobs completed to date have created (in combination with the state Home Performance and Utility Programs) more than 2,000 hours of work for local energy efficiency professionals. The County still has almost $800,000 of funding available for Montgomery County residents to help improve the efficiency of their homes. Coffman suggests applicants ask for electronic copies of audits, proposals and invoices from service providers to make the application process easier. He says the vast majority of projects have been approved within 48 business hours of receiving the application. A few notices to proceed have gotten caught in spam filters, so if an applicant doesn’t hear from them in a week, he suggests they log into their account online. If they still have not received approval, he asks that applicants contact help@mcenergyfunding.com. One last tip for applicants: Make sure to check the “other sources of funding” link on www.mcenergyfunding.com for information about state, federal, and utility company incentives. The Bethesda Patch reports, in an October 26 article by Anna Isaacs, that the Bethesda Central Farm Market will remain open on Sundays throughout the winter at its location on Elm Street between Woodmont and Wisconsin avenues. According to the article, market co-founder Mitch Berliner expects at least 20 vendors to offer a variety of products this winter. Read the Patch article here. Pepco is conducting a multi-pronged Pledge to Save Campaign in support of the state of Maryland EmPOWER initiative, which seeks to reduce energy consumption 15 percent by 2015. Pepco Maryland customers can make a “Pledge to Save,” signaling their commitment to reduce electricity use and entering them for a chance to win a $250 Lowe’s Home Improvement gift card. The deadline to submit a pledge is December 1, 2011. Another feature of the campaign is a children’s art contest. Kids ages 5-10 (grades K-5) are invited to draw a picture illustrating what they are doing to save energy at home, at school or at play. The contest deadline is November 15, 2011. Six winners will be chosen and each will receive a $100 gift card. Pepco has started posting entries on the campaign’s Facebook page. Also for kids, the Energy Detective Activity Book teaches what electricity is, why it is important to conserve it, and what we can do to use less of it. Open House about the proposed Purple Line Project, Wednesday, Nov. 2, 5:30 pm – 8:30 pm, National 4-H Youth Conference Center, 7100 Connecticut Ave., Chevy Chase. Hosted by the Maryland Transit Administration (MTA). The Purple Line is a proposed 16-mile light rail line from Bethesda to New Carrollton. Help design a project that best serves the community. Learn about the benefits and status of the Purple Line Project, light rail systems and stations, and what’s next. Learn How to Protect the Seneca Creek Watershed, Wednesday, Nov. 2, 6:30 pm – 8:30 pm, Izaak Walton League of America – Rockville Chapter, 18301 Waring Station Road in Germantown. Great Seneca Creek is the largest watershed located entirely within Montgomery County and is a source of drinking water for much of the area. Meet local watershed partners and discuss ways to work together to improve local water quality. Sponsored by the City of Gaithersburg, Montgomery County Dept. of Environmental Protection, the Interstate Commission on the Potomac River Basin, and Seneca Creek Watershed Partners. For more information please contact Audra Lew at 301-274-8110 or e-mail alew@icprb.org. Bethesda Green Happy Hour, Thursday, Nov. 3, 5 pm – 8 pm, The Parva Restaurant and Lounge, 7904 Woodmont Avenue. You are invited for casual conversation and networking. Meet the Bethesda Green Incubator Companies and learn more about the Incubator. Enjoy complimentary appetizers in Parva’s beautiful second floor lounge. Donation requested at the door. RSVP at the Bethesda Green Meetup page. Thursday, Nov. 3, “Wind Jobs Potential for Montgomery County” expo, featuring local businesses that would create offshore wind energy jobs, 6 pm – 7 pm. Followed by a Town Hall Forum: Maryland Offshore Wind Power for Montgomery County, 7 pm, Featuring: State Delegate Ben Kramer and State Senator Manno, along with health, economic, environmental experts, and local businesses. Mid County Community Center, 2004 Queensguard Rd., Silver Spring. Hosted by the Montgomery County Department of Economic Development. Register at CCAN Website. Background information here. E-cycling day @ Whitman High School, Sunday, Nov. 6, noon – 4 p.m., Walt Whitman High School parking lot, 7100 Whittier Boulevard, Bethesda. Bring your old TVs, computers, small appliances, etc. Help spread the work and share this flyer with others. 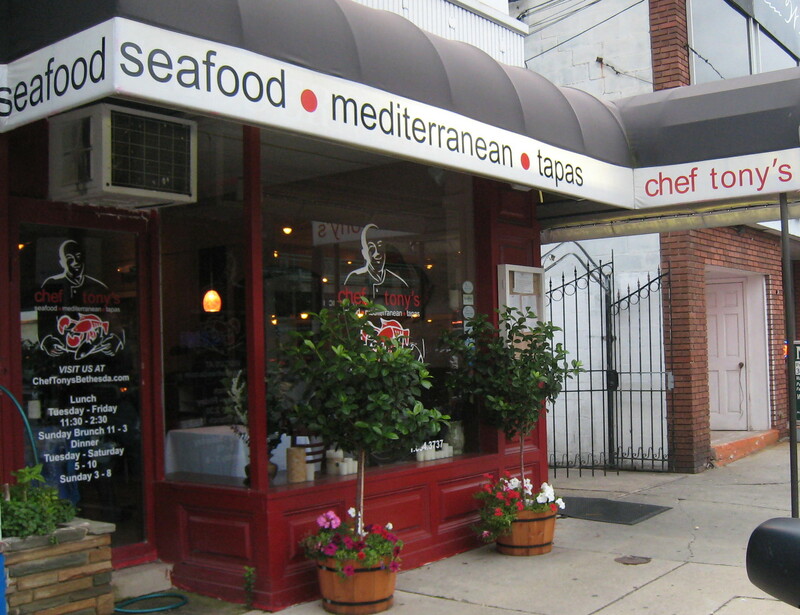 Local Food Goes Digital, Monday, Nov. 7, 6 pm – 8:30 pm, Chef Tony’s Restaurant, 4926 St. Elmo Avenue, Bethesda. Support the Montgomery Countryside Alliance. Join us for cocktails and appetizers at Chef Tony’s Restaurant, specializing in seasonal, fresh and locally-grown cuisine. Learn how Foodem.com, a web-based marketplace, is connecting local farmers, food distributors and specialty food manufacturers with restaurants, schools, hotels and grocers. By doing so, Foodem.com does its part for the sustainable food movement by satisfying the growing consumer and business demand for more local, sustainably-produced, and healthier food choices. Cocktails and appetizers will be available at a discounted price. Part of the sales will be given to Montgomery Countryside Alliance, preserving and enhancing Montgomery County’s Agricultural Reserve. Please RSVP by November 5. Bethesda Green Education, Outreach and Marketing (EOM) Group Meeting – Newcomers Welcome! Thursday, Nov. 10, 4 pm – 5:30 pm., 4825 Cordell Ave., corner of Woodmont Ave., Suite 200, above the Capital One Bank, Bethesda. A team of volunteers, EOM supports all of Bethesda Green’s communication efforts. From recycling to energy efficiency, sustainability to green building/design, EOM expresses the organization’s various areas of expertise in a clear and concise manner via various media. New members are welcome to join. More information here, or contact Bethesda Green Communications Director Dave Heffernan, dvheffernan@bethesdagreen.org. Montgomery County’s first “Know Your Farmer,” Call-In Webinar, Wednesday, November 16, 8 pm. Montgomery Victory Gardens hosts “Challenges and Opportunities Facing Organic Agriculture in the 21st Century,” a discussion with Montgomery County farmers Nick and Sophia Maravell. Nick is the operator of Nick’s Organic Farm in Potomac and one of only four farmers sitting on the prestigious National Organic Standards Board, while his daughter Sophia, who has studied organic agriculture throughout the world, is one of our nation’s new generation of aspiring farmers. Register here. Tom Pelton of the Chesapeake Bay Foundation warns that if Congress slashes $23 billion from the federal Farm Bill, as it appears poised to do by next week, the Chesapeake Bay Watershed Initiative could be eliminated. The program funds farm runoff control projects in parts of Lancaster County, Pennsylvania; Maryland’s Eastern Shore; and the Shenandoah Valley in Virginia. The funds help farmers pay to construct fences to keep cattle out of streams, build manure control facilities, and plant strips of trees and grasses along waterways, among other things. Losing those funds, Pelton claims, would make it much more difficult to reach pollution control goals for the Bay. Ten northeast states (including Maryland) and the District of Columbia announced the formation of the Northeast Electric Vehicle Network on October 19 to expedite the deployment of electric vehicles in the region and promote the use of alternative fuels. As part of their ongoing collaboration through the Transportation and Climate Initiative (TCI), the participating jurisdictions will promote all clean vehicles and fuels and facilitate planning for and the deployment of electric vehicle (EV) charging stations and related infrastructure throughout the Northeast and Mid-Atlantic states. The group will also work together to attract additional public and private investment in infrastructure for clean vehicles. A poll released on October 19 by The University of Texas at Austin found fewer than 14 percent of Americans think the country is headed in the right direction on energy. The 3,406 respondents were asked to rate their satisfaction and dissatisfaction with the job that 26 different organizations, corporations, institutions and government bodies were doing to address energy issues. Congress — with ratings of 8 percent satisfied, 71 percent dissatisfied — ranked dead last. “This survey shows that the public craves leadership on energy issues,” said Bill Powers, President of The University of Texas at Austin. The majority of Americans see energy prices as high and likely to increase. Four out of five are interested in learning more about how to reduce their energy use. U.S. Energy Secretary Steven Chu announced on Tuesday (10/25) a $60 million investment over three years for applied scientific research to advance Concentrating Solar Power (CSP) technologies. CSP technologies use mirrors to reflect and concentrate sunlight to produce heat, which can then be used to produce electricity. The funding is meant to support research into technologies that have the potential to dramatically increase efficiency, lower costs, and deliver more reliable performance than existing commercial and near-commercial CSP systems. DOE expects to fund roughly 20 – 22 projects, and encourages industry, universities, and National Laboratories to apply. Future Harvest-Chesapeake Alliance for Sustainable Agriculture is accepting applications up to November 30 from new farmers interested in participating in the Beginner Farmer Training Program. Five to ten trainees, mostly college graduates with some farming experience and a commitment to a career in sustainable and/or organic agriculture, will be selected to participate in the free program that begins on January 13, 2012 with a two day conference. Participants will attend workshops one evening per week for eight weeks in February and March at the new Baltimore County Center for Maryland Agriculture. 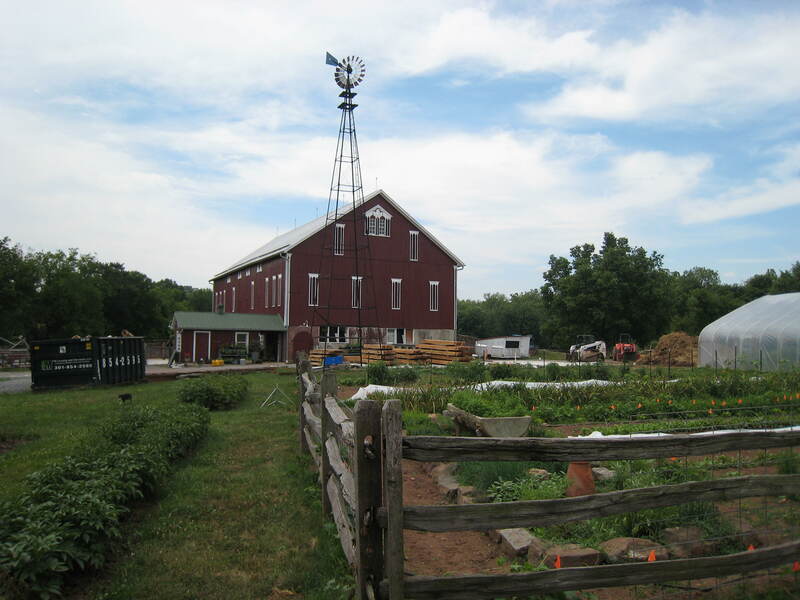 They will undergo field training on a weekly basis at an organic farm in Baltimore Country or Harford County and participate in farm tours and workshops from May through August at various sustainable farms in the region. Audubon Naturalist Society Annual Meeting, Friday, October 28, 6:00-9:30 pm (Program starts at 6:30 pm), Woodend Sanctuary, MD. Featuring “Looking Back & Forward at Our Region’s Water,” a lively talk by longtime environmental reporter and renowned author Tom Horton. Silent Auction items include six original, framed J.J. Audubon stone lithographs and other rare works of art. More information here. “The Age of Stupid” Film and Discussion, Friday, October 28, 6:30-9:30 pm, The Festival Center in Adams Morgan, 1640 Columbia Road, NW. View the climate-change blockbuster film, followed by discussion w/ Mike Tidwell, Director, Chesapeake Climate Action Network. More details here. Rockville Bike Advisory Committee (RBAC) Invites You to Try Nancy’s Bike Route, Saturday, October 29, 2:00 pm. Ride starts at Rockville Memorial Library, heading south toward Bethesda. Details here. Bethesda Green First Thursday Happy Hour, Thursday, November 03, 5:00 – 8:00, The Parva Restaurant and Lounge, 7904 Woodmont Avenue. You are invited for casual conversation and networking. Meet the Bethesda Green Incubator Companies and learn more about the Incubator. Enjoy complimentary appetizers in Parva’s beautiful second floor lounge. Donation requested at the door. RSVP at the Bethesda Green Meetup page. The University of Maryland had two big wins at this year’s U.S. Department of Energy Solar Decathlon. On Friday, UMCP was declared the winner of the architecture prize. On Saturday, the school was named overall winner in a solar home contest that included universities from Belgium, Canada, China, New Zealand and the United States. The UMCP entry, called WaterShed, is a solar powered home that also conserves, filters and reuses water. The nonprofit, created in 2005 to protect and restore the 33 miles of Rock Creek and adjacent parkland, is now called the Rock Creek Conservancy. Their new office is located at the green business incubator at Bethesda Green, 4825 Cordell Avenue, Suite 200, in Bethesda. The September 26 Bethesda Patch includes an informative piece about the Rock Creek Conservancy written by Beverly Firme. Ruth Rogers Clausen has written a book that illustrates how to beautify your yard and garden while keeping the deer away. In 50 Beautiful Deer-Resistant Plants: The Prettiest Annuals, Perennials, Bulbs, and Shrubs that Deer Don’t Eat, Clausen gives each plant a deer resistance rating and explains how to use it in your garden. Enjoy Alan Detrick’s beautiful photography while you plan and shop for next year’s garden. Busboys and Poets. Timber Press. The Maryland Native Plant Society Website is an excellent source of information about plants native to the Free State. Among the Website’s resources are a listing of plant nurseries around Maryland that stock a number of native plants, and a PDF guide, How to Shop for Native Plants. The Sierra Club on September 23 announced the recipients of its national awards. Among them was Marjorie Richman of North Bethesda. Richman has been leading local and national outings for the Club since 1980 and received the Oliver Kehrlein Award for outstanding service to the Sierra Club’s outings program. The 2011 awards were presented in San Francisco Sept. 23-24 during the Club’s annual meeting. Growing Native Webinar, Tuesday, October 4, 11:30 am. Growing Native, a project of Potomac Conservancy, engages thousands of volunteers in the Potomac River region each year to collect native hardwood and shrub seeds. The seeds are donated to state nurseries in Maryland, Pennsylvania, Virginia and West Virginia, where they are planted and used to restore streamside forests throughout the 15,000 square mile watershed. Email Deanna Tricarico at tricarico@potomac.org or call (301) 608-1188, x204 for information. Muddy Branch Road Trash Pickup, Saturday, October 08, 8:30am – 11:30am. Join other volunteers and the Muddy Branch Alliance to pick up trash from Muddy Branch Square to Festival Shopping Center. Meet between 8:30 and 9:00 at the Starbucks in Muddy Branch Square. Sign up to help.